Play Pebble Beach, Pinehurst #2, Torrey Pines, the Old Course at St. Andrews and more courses on our HD Golf Simulator at a reasonable fee! Play on your own or with other players. Experience the life of a Tour Pro. Play the same course you see the pros playing on TV in the same week! Our 11 event tour visits include Torrey Pines, Pebble Beach, Bayhill, the Old Course at St. Andrews and more! Is this a competitive league? Simply put definitely not. We allow players to play tee blocks that are level appropriate so you enjoy playing. Although we have prizes for the best scores, we also have draw prizes each event – you play and you are entered into the draw. Do you have to play every event? No, you play the events that fit into your schedule. When does my round have to be played by? Each event has a deadline that rounds need to be played by. You can play as far in advance as you like – for example, if you are going away to Florida for 2 weeks in February, you can play the rounds in January. What times and days can my round be played? 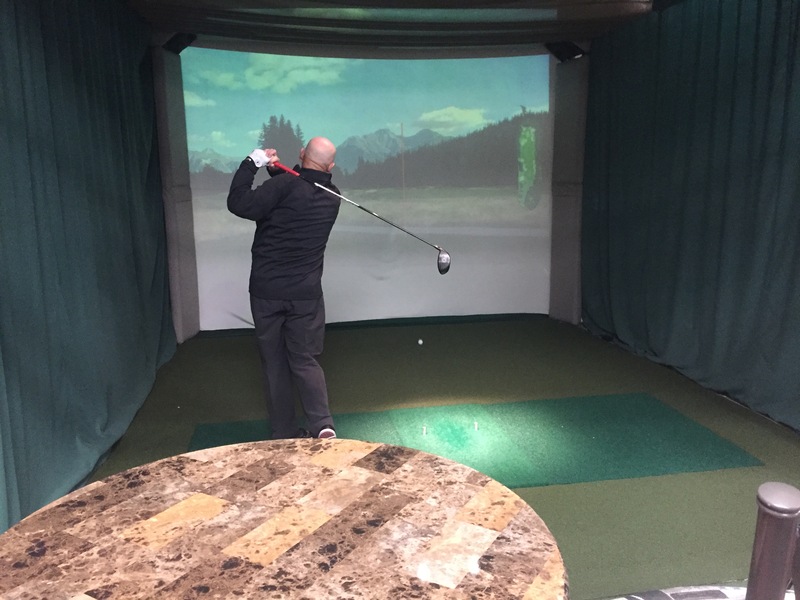 Your round can be played any day and any time that our indoor location is available. How do I book my round? After registration, you will be provided login details for our online booking system. You can book your round from the comfort of your home or on your phone. Play in the events you want – it all leads up to the London Indoor Golf Tour Championship! Our HD Golf Simulator is available outside of our golf league. Your can complete your booking online or contact us at (519) 471-2301. Most often we have twosomes play a round as it will take 1 hour per player to complete 18 hours. Therefore, 2 players requires 2 hours to play. If you are looking for food and beverage, we are not licensed. Most players will play a round and visit one of several restaurants around our facility after the round. If you wish to eat while playing, we have had groups order food and have delivered to our location. The fee for a round on the HD Golf Simulator is $40 per player – Book Now! Play your first round at Performance Golf London for only $29 per player – contact us for further details.